H&R June Desktop Calendar | H&R Special Springs, LP. Each month we release a new desktop calendar featuring a prominent vehicle in the automotive industry. 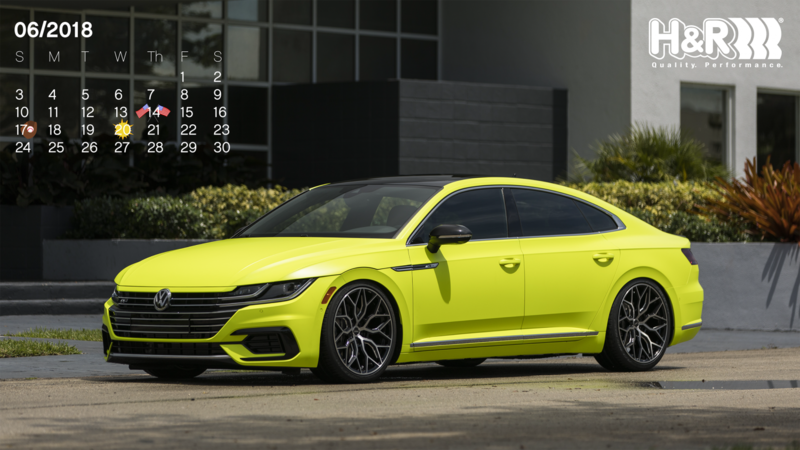 June showcases the 2019 Arteon R-Line Highlight concept from the Volkswagen 2018 Enthusiast Vehicle Fleet. The Arteon is lowered nearly 3 inches with a prototype H&R Ultra Low Coil Over kit.